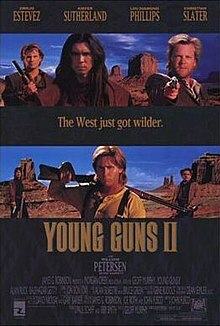 Young Guns I & II are movies loosely based on the legend of ‘Billy the Kid’ or William H. Bonney. 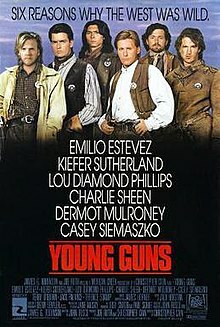 Emilio Estevez stars as Billy the Kid in both movies, which also feature Charlie Sheen, Kiefer Sutherland, Lou Diamond Phillips, Christian Slater, etc. This story features Wikipedia entries for both movies, as well as the original movie trailers for both. 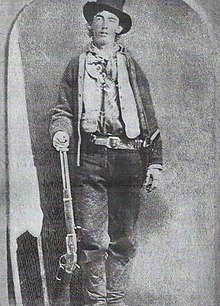 I quite like both of these movies, which provide a light-hearted look at the legend of Billy the Kid, including the claim that he survived being shot by Pat Garrett in 1881. The movies also contain some memorable one-liners and comedic moments, one of which I have included in the story below from my Quotista presence.